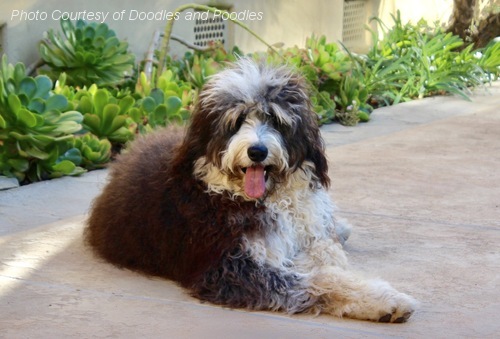 THANK YOU FOR VISITING DOODLES AND POODLES. 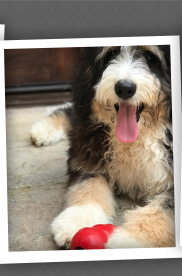 WE SPECIALIZE IN BREEDING BERNEDOODLES, SAINT BERDOODLES AND STANDARD, MOYEN, MINATURE AND TOY POODLES IN THE EAST TN AREA. 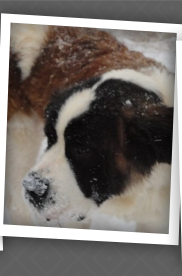 OUR FOCUS IS TO ENSURE THAT YOU HAVE CHOSEN THE BEST POSSIBLE QUALITY PUPPY FOR YOU AND YOUR FAMILY. I AM A PROUD LIFE'S ABUNDANCE INDEPENDENT FIELD REPRESENTATIVE. Congratulations to Sparkles, Jill and DoodlesandPoodles.com!!! 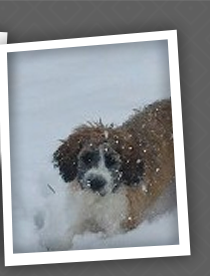 Sparkles, Jill and Doodles And Poodles won the "Bernedoodle Breed Profile Photo" contest on Puppy Find to represent the New Bernedoodle Breed Category!!! Congratulations to Assistdogs.org and Pauline for the great work they have been doing with "George" to be a Therapy Dog!!! 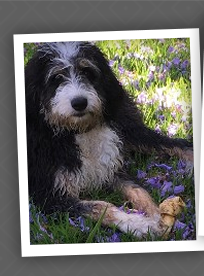 George is one of our F1b Saint Berdoodles that is becoming a balance and stability service dog. Doodles and Poodles has provided several puppies over the years that have been retained to provide to those in need with various injuries and disabilities. 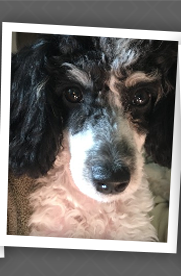 Here are some video's of George in training that will give you a better idea of just how intelligent the puppies that we breed at Doodles and Poodles are!!! If you are in need of a service dog or training for one of your puppies, Pauline at Assistdogs.org in NC maybe able to help. Please wait until the music stops before playing the video in order to hear Pauline working with George. THIS SITE IS UNDER CONSTRUCTION AT THE MOMENT FOR UPDATING. IF YOU NEED INFORMATION ON OUR CURRENT LITTERS WITH PICS PLEASE CALL ME AT 865-221-4353.